President Maithripala Sirisena has ordered the establishment of a special anti-narcotic unit combining the persons from all intelligence units and with the participation of all other key stakeholders to completely eradicate the illicit drug trafficking and peddling in Sri Lanka with immediate effect. 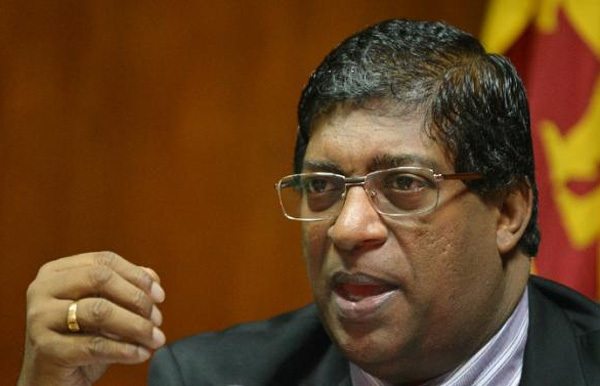 Finance Minister Ravi Karunanayake addressing a media briefing held in Colombo yesterday, said the, proposed unit will comprise high-ranking officials of the intelligent units, security forces, Finance Ministry and the Customs Department. “We have been able to detect the largest cocaine haul in Sri Lanka which had been brought to the country under the guise of bringing sugar and sized by the Special Narcotic Raid Unit of the Finance Ministry in collaboration with the STF, Police and the Customs Department at the Rank Container Terminal (RCT) Container Yard Orugodawatte. “The government will completely eradicate the drug menace for the benefit of the future generation. We will not allow anyone to bring any illegal substances to the country. This kind of raid was not seen earlier. The Customs would continue to carry out raids showing the Government’s commitment to fight the drug menace. Stern action will be taken against all those involved in this racket”, the Minister stressed. Investigations are underway to nab the kingpin of this racket with the assistance of the Brazilian government. He said the Opposition is trying to take advantages of the incident.” A website called Lanka News Web Today which has close links to MP Namal Rajapksa and MP Wimal Weerawansa have slung mud me saying that a company importing sugar has connections to me . I will lodge a complaint with IGP to initiate an action on this matter,”â€ he said. “We are following correct economic policies right now. The excise revenue which was Rs.2000 million per month during the previous regime has increased to Rs.13000 million per month. Because of our firm policies, the entire income will flow to the economy instead of being wasted like in the past. We have already received Rs.10 ,000 million for development projects from overseas. The country’s export income has increased by 3 percent in the last month due to steady-fast economic policies of the government. We also paid compensation to the people displaced from the Kolonnawa floods on Saturday under the patronage of President and Prime Minister. A small delay was caused because of state officials wanting to pay compensation to everyone at once although the financial allocations was already made to the Disaster Relief Ministry. Question have been raised as to why the STF was involved in this incident. But it was conducted on a tip off received by an STF official. They have the similar powers which the Police personal have and if we want to eradicate drug menace, we will get support not only from the STF but also from the Security Forces. We will establish container scanning unit to check indoor and outdoor containers within the next three months. The Colombo port is known as a high secure port in the world. But we have a doubt weather certain elements are trying to damage it’s good name”. According to the special investigation done by the Sri Lanka Customs, there were four containers carrying over 26650 kilos of sugar which was valued at Rs.11 million. The entire consignment has already been forfeited. producing them before the Maligakanda Magistrate. The Police will commence investigations to check the past business activities of the company and the businessman. It has been reveled the nett weight of the stock of cocaine is 80 kg and the value is around Rs.1.2 billion according to the Customs investigation. But the actual weight and value could change with the investigations carried out by the Government Analyst Department.